It was a sultry Saturday afternoon, 109 degrees in the shade. Three therapists and three teenage girls from Hays House sat under the park’s only tree, watching the sun beat down on three horses in a sand-filled arena with no shade at all. They (the humans, not the horses) were discussing the idea of “willingness” and the girls were being asked to think about and try to practice willingness at today’s equine therapy session. When Shawna and her family lived in the projects of inner city Detroit, just getting from home to school and back each day was a dangerous journey. At 16, Shawna was struggling with depression and explosive anger. One too many fights with teachers finally got her expelled, and that’s when she confided to her mother that she was being sexually abused by a neighbor. Even worse- the abuse had been going on since Shawna turned 13, and the abuser had terrified her into silence by threatening to hurt her family if she "told on him." Last month we received this heartfelt letter from a young man who stayed at Hays Shelter Home with his sister more than a year ago. They had been living on the street. When they first came to Hays, they didn't know what to make of being in IYR's care and were wary of us, but sometimes It's the most challenging kids who make the biggest transformation.Thanks to your generous support, they found their way out of homelessness and into a future with direction and possibility. Neglected, abondoned or abused kids often don't get to have the kind of childhood experiences that most of us take for granted. Like playing catch, learning how to ride a bike, or learning how to swim. Last April, staff and kids at Hays House moved the backyard garden to a sunny spot beside the greenhouse and built three new garden beds with salvaged concrete blocks. North End Organic Nursery (NEON) donated three cubic yards of rich, fertile soil and Edwards Greenhouse donated cash the kids spent on pumpkin starts. In addition to receiving counseling, kids in our residential programs spend time every week getting involved in their community through volunteer projects. 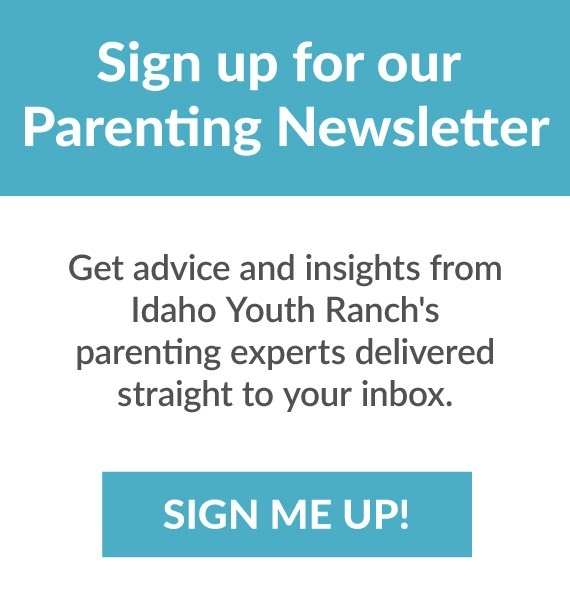 The Idaho Youth Ranch service learning program has included many community organizations and nonprofits. To date, IYR kids have served more than 100 meals at the Boise Rescue Mission, packed 1500 lbs. of donations at the Idaho Foodbank, delivered 32 meals for Meals on Wheels, and cared for service animals with Mini-Joys, a local non-profit that provides miniature horses for therapeutic healing.